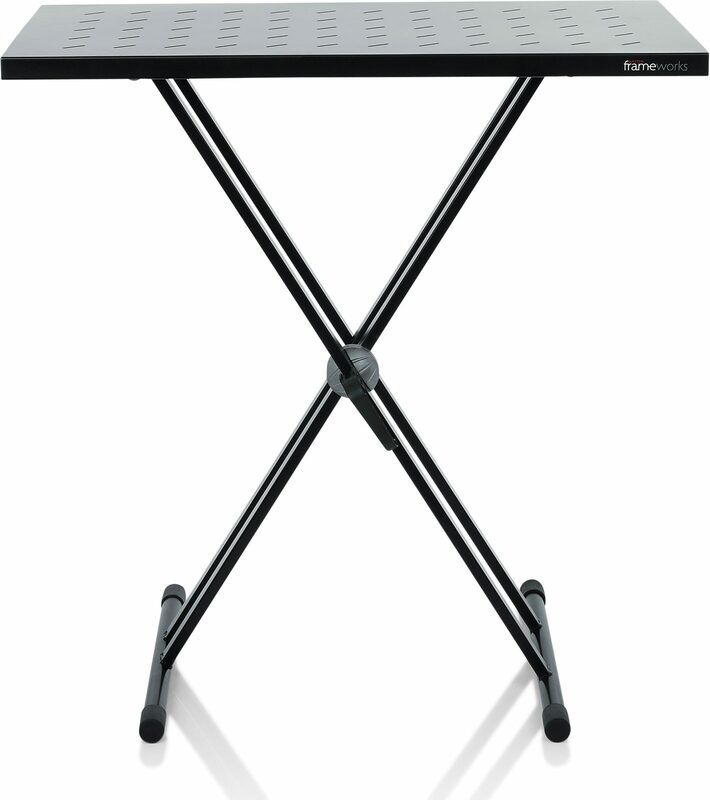 This Gator combo set includes a utility table top and X-style keyboard stand -- perfect for keyboard players, DJs, electronic musicians and more. 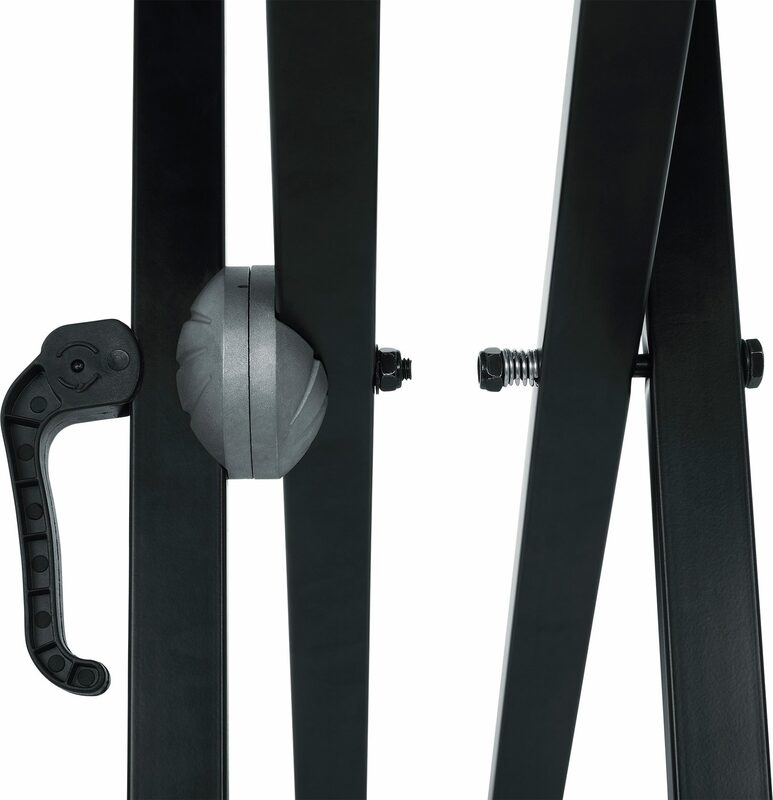 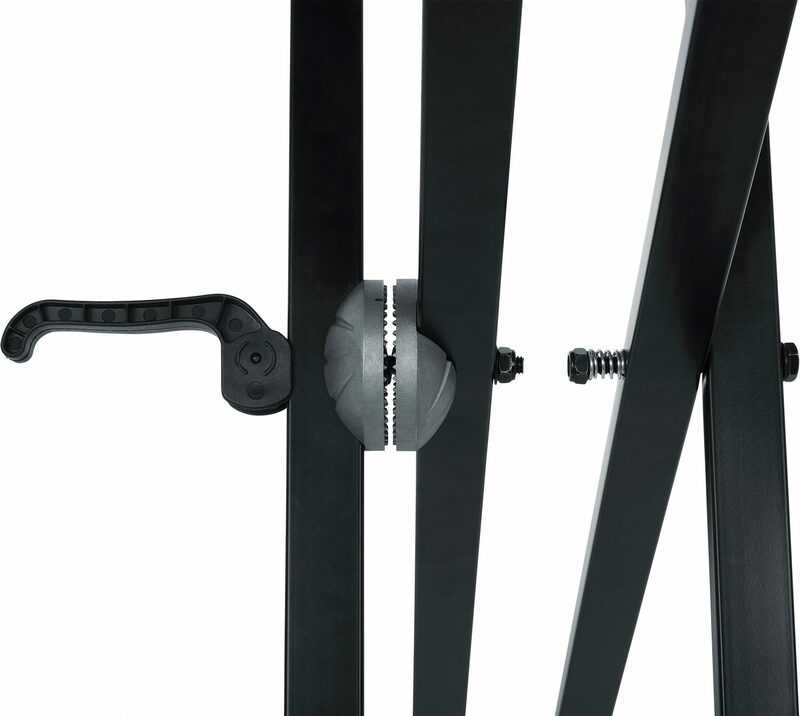 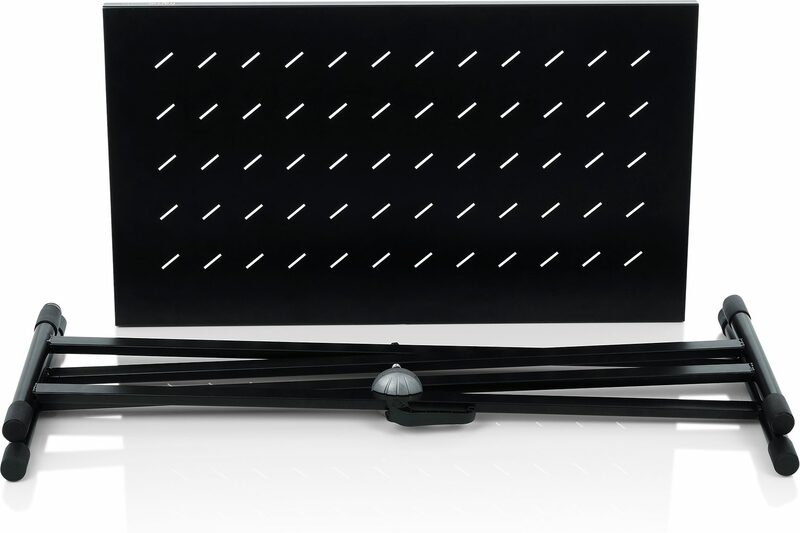 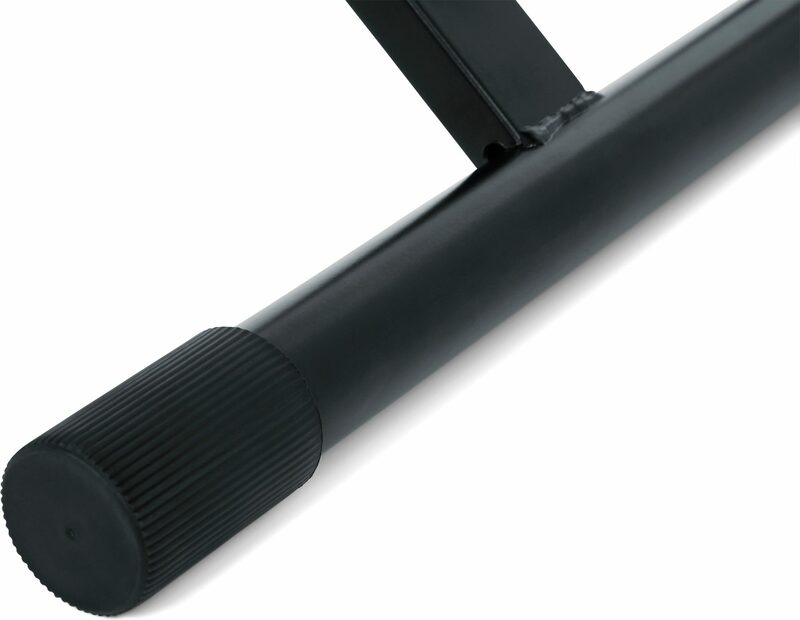 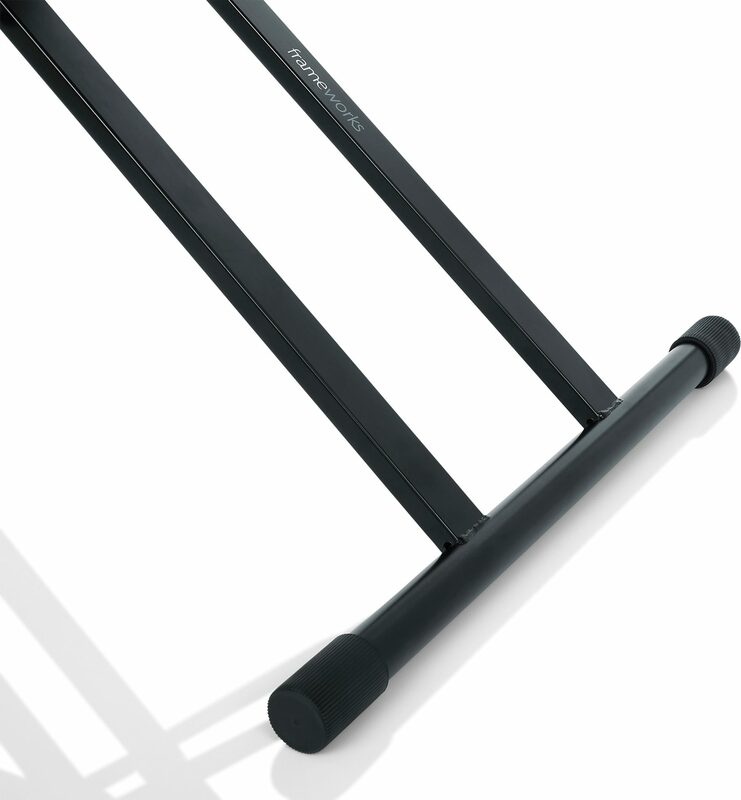 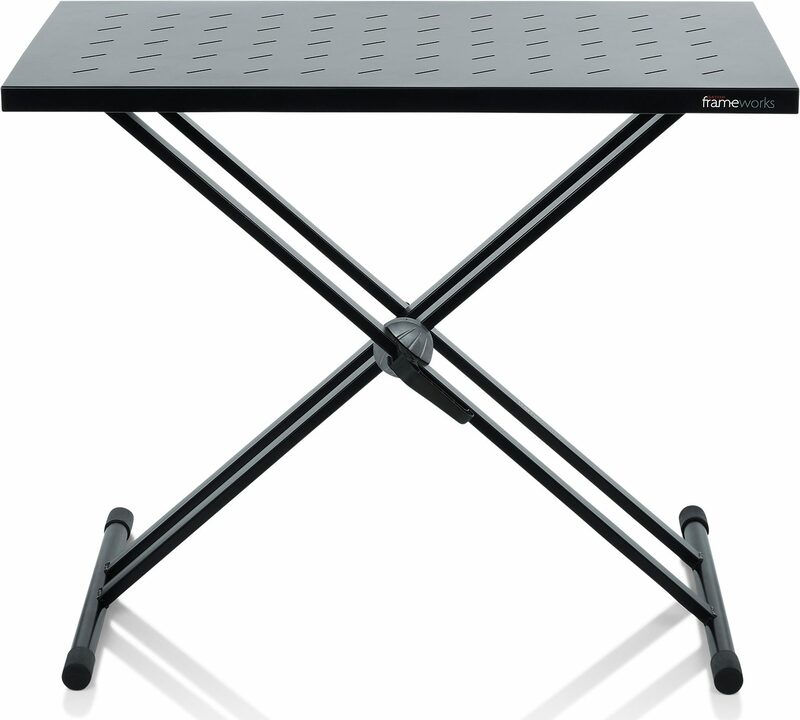 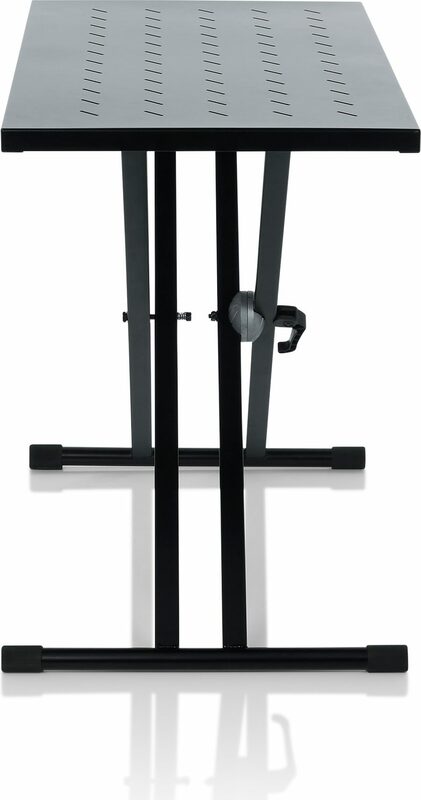 This flat surface holds both bigger and smaller items that a standard X-stand would not support, with heavy-duty steel construction and black powder-coated finish. 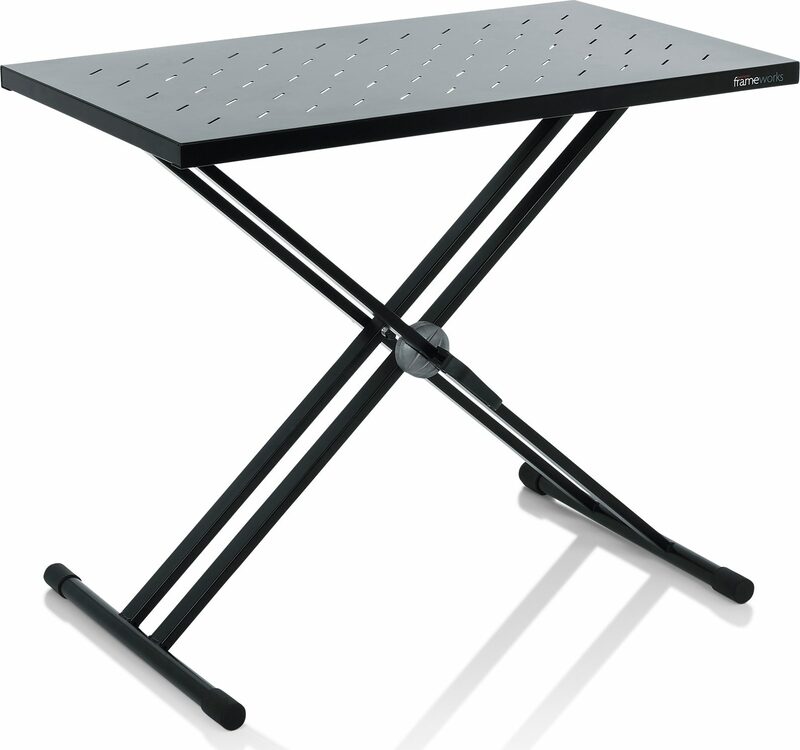 The tabletop tray is made of perforated steel for lightness of weight and to promote air circulation. 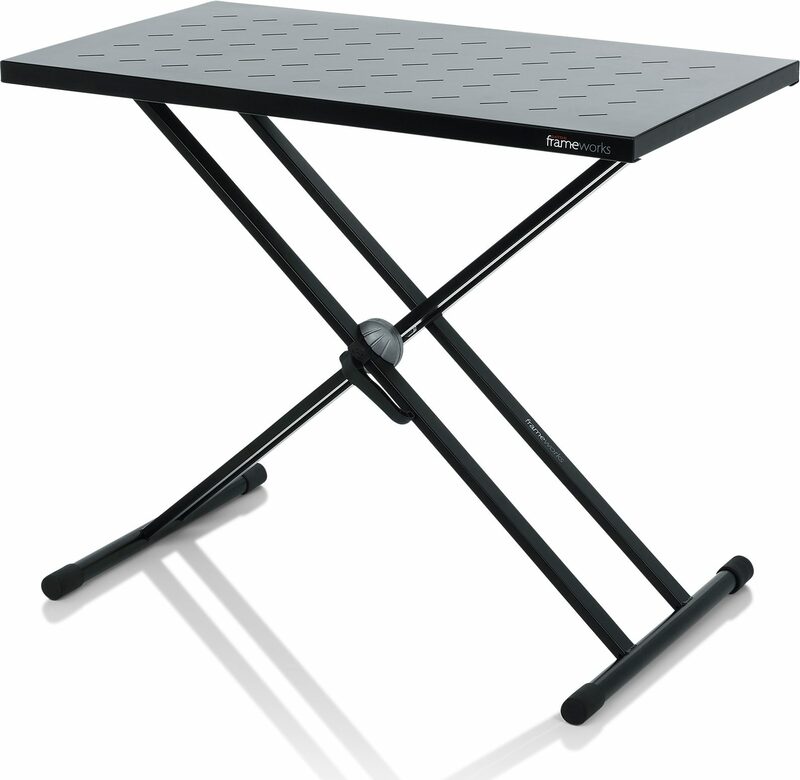 - Table top is approximately 32.3" X 18.3"
- Stand adjusts up to 33.5"